HOT 25 LIST FOR 2016! These 25 people are making the industry a unique marketplace that’s fun and energetic. We love that you’re considering promotional materials – they’re still very important to make an impact and set you apart from your competition. 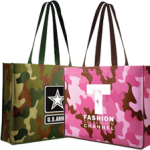 At Promotions Pronto, we specialize in creating innovative promotional products that reflect your unique image and leave a lasting impression. With over 12 years of promotional, branding, and advertising experience, we can expertly feature your business and get your message to a large audience. Promotional products open the lines of communication. People love to get gifts and they love to share. How many times have you ended up with a logoed pen that a friend passed along? Do you find that you love that pen and use it daily? You see that logo every day and will most likely call that company next time you need their services. It works! Customers are more likely to remember your product and company after multiple exposures. Keep the promotional product useful and you’ll see an increase in business. In fact, statistics show that 85% of consumers do business with a company after receiving a promotional product. Handing them a pen, mug, calendar, or keychain ensures that they will see it often. The more impressions you give the more business you get! Are you starting a business and need help creating your brand? Promotions Pronto can help you with logo design as well as recommendations for what promotional products best fit your business. If you have an established company or organization and need a fresh way to drive business, we can improve visibility and help increase sales with the right image-building items. We can also build you your own online store! If you have sales reps that order often or an event that requires apparel, let the participants order exactly what they need, pay, and take delivery themselves. This massively simplifies the ordering and distribution process and frees you up to focus on the business at hand! Your great cause deserves a great fundraiser! 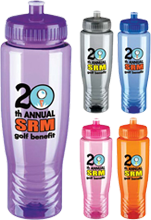 Whether you’re having a corporate fundraising event or raising money for your school, favorite sports team or church with a walk, run, golf outing, or any other type of event, let us help make it a fantastic success by finding the right product for your needs (and we give back to your cause too!). One of the best ways to launch a new product is with a promotional gift! That gift is now an advertisement for your brand with a ton of exposure for your new launch! Let Promotions Pronto take care of your gift needs! Stand out from the crowd with the latest in promotional swag from pens, bags, logo flash drives (who doesn’t want and use those? ), and candy is always irresistible! Bring people to your booth and away from your competitors. Imagine your branding on an item everyone wants being carried around the entire show, drawing people to your booth. You can’t go wrong! We provide caring, personal customer service to ensure your branding and promotional needs are an exact fit for your business. And, Promotions Pronto isn’t just a name – we work hard to get your promotional items to you in 10-15 business days. Contact us today and start increasing business now! Brian is always great to work with. As a real estate agent I am constantly ordering promotional items from him. From open house flag signs, to baseball and football schedule magnets and my yard signs. Always great quality and easy to place an order. I highly recommend Promotions Pronto!! In addition to Stacee’s personable nature, good value and high integrity, I appreciate her ability to find a creative solution to every request I give her. She listens and understands my needs and always delivers amazing results. I have always been able to count on punctuality and a high-quality experience when working with her, even under deadline. Promotions Pronto and Brian are great to work with. They will help you choose the perfect item and make sure it gets to you on time and seamlessly. Brian is my go to for any and all of our promotional items!